The convoy that sent twitter into speculation on Monday morning has been revealed as a publicity stunt for the new film INDEPENDENCE DAY: RESURGENCE. 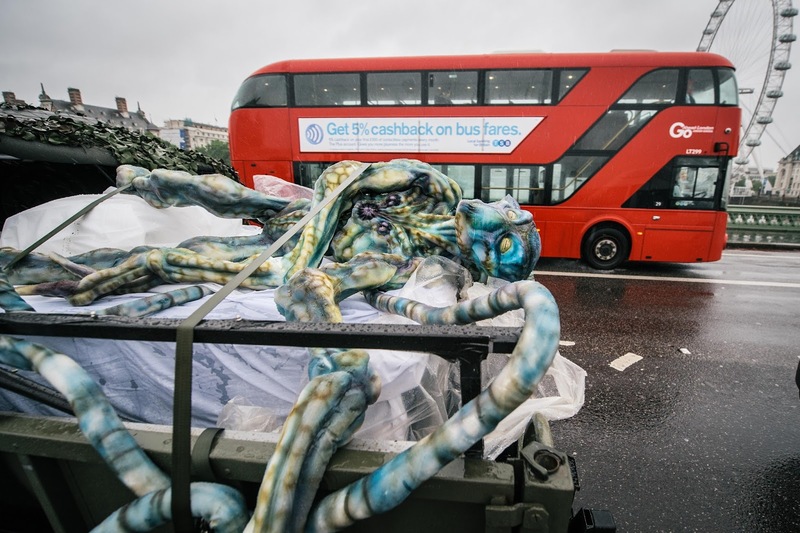 First spotted at 5am leaving Cardiff in Wales, the eye-catching convoy containing a number of slimy, tentacle-ridden hyper-realistic aliens from the upcoming sequel, was soon the talk of twitter as it snaked its way through London, via Westminster Bridge, Buckingham Palace and Leicester Square. 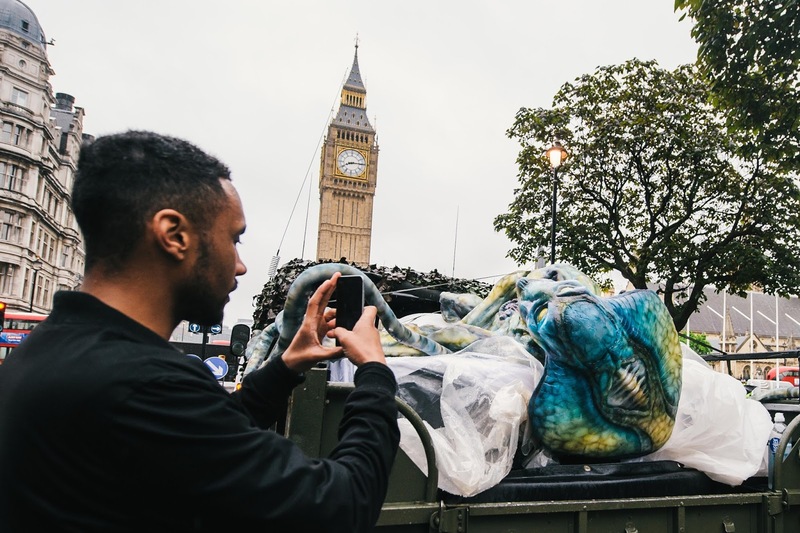 The aliens, which have been created in Wales over the last two months by talented sculptor Samantha Williams using extensive references from the new film, attracted most attention as they passed Buckingham Palace. 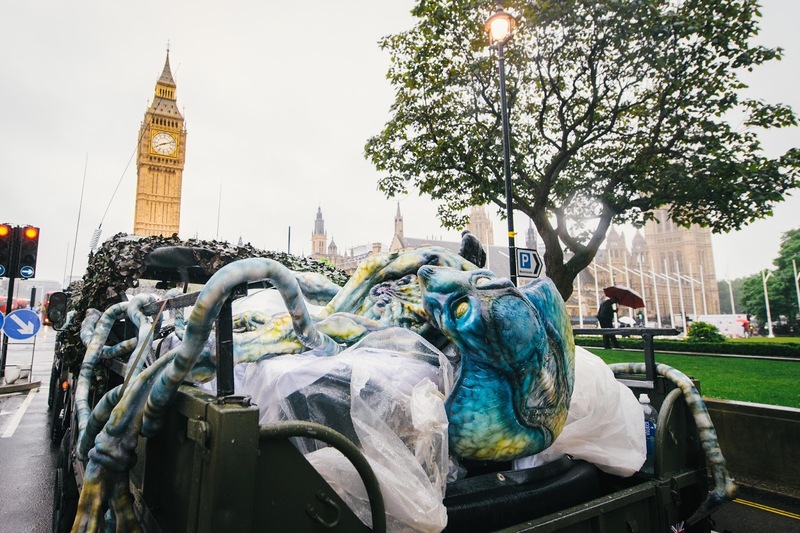 One twitter user, @farrahchandia, posted: “Aliens on their way to Buckingham Palace – ‘they like to get the landmarks’ #IndependenceDay”, quoting a Jeff Goldblum line from the trailer. 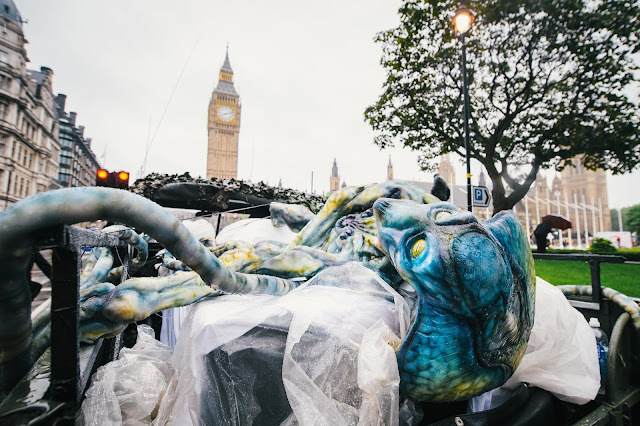 Whilst typically in London, others bemoaned yet another disruption to their Monday morning commute: “Stuck in traffic in London cab - think I've spotted the hold-up! #IndependenceDay”, said @orgarnham.